Schlock-Wire: Take Your Ultraman Fandom To The Next Level With Shout Factory’s ULTRA SEVEN: THE COMPLETE SERIES COLLECTION – Schlockmania! Available for the First Time on DVD ! THE EARTH IS IN DANGER! Even now, fiendish hands are stretching out from the distant stars to seize the world…From their massive underground complex near Mt. Fuji, the Ultra Guard, an elite unit of the Terrestrial Defense Force, equipped with a squadron of Ultra Hawks, stands vigilant as our decisive first-line to combat the myriad of alien aggressors, who threaten the very existence of our planet. But, unbeknownst to his fellow teammates, Dan Moroboshi, is secretly an extraterrestrial aiding them in their fight to preserve the future of humanity — considered the “7th member” of the Ultra Guard — better known as “Ultra Seven!” On December 11, 2012, Shout! Factory will unleash the internationally renowned sci-fi, pop culture series Ultra Seven: The Complete Series Collector’s Edition in a collectible 6-DVD set. Boasting high camp entertainment and a special 24-page book with detailed essay by August Ragone, this complete series DVD set is priced to own with a suggested retail price of $ 49.97. 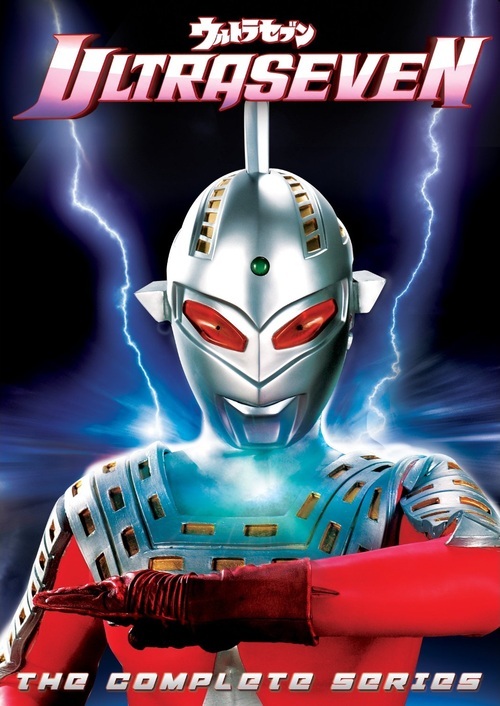 Produced by the creative team behind Ultraman, Ultra Seven is the third entry in the “Ultra Series,” and is arguably the best of the long-running franchise, with its emphasis on science fiction and themes touching on subjects ranging from the cruelty of war to social and racial injustices in the grand tradition of Star Trek and The Outer Limits. Plus, Ultra Seven features the colossal monsters and spectacular visual effects viewers expect from the men who brought Godzilla to life! For the first time on home video, complete and uncut, Shout! Factory’s complete box set of Ultra Seven is a must-have!